Heart disease is the largest problem in the United States. Once thought of as a man’s disease, called the widow maker, it is now the number one killer and disabler of both men and women in this country. Younger men have more heart attacks than younger women but age quickly dissolves those lines. It took decades for women to “catch up” with men but it’s here, now. We all run a 50/50 risk of encountering a consequence of coronary artery disease. Nine times out of ten, it’s fatty plaque building up over time that narrows an artery. While there are a number of reasons for an artery to narrow the most likely is atherosclerosis. Nearly half of coronary deaths are of those who had no previous symptoms. Undoubtedly, however, they had excessive blood fat and cholesterol of which they were probably unaware. Both of which are preventable through whole food nutrition. A blockage of one or more of the three major arteries that supply oxygen-bearing blood to the heart will cause your heart to try to correct the problem by decreasing its own oxygen demands. First, your heart will try to tell you by causing pain (angina). Most likely you will experience a vise-like pain or an intolerable weight forcing itself against your chest radiating down your left arm or up to your neck and jaw. You’ll stop what you are doing, which is what your heart wants because you will place less demand on it. Your contractions will become weaker. Your heartbeat becomes irregular. You are likely to break out in a cold sweat and feel nauseated or even vomit. There is often shortness of breath (ischemia). If the oxygen supply continues to dwindle, parts of your heart will begin to shut down. If the blockages stop blood flow to a part of your heart, that part dies and you have a heart attack. If cardiac ischemia doesn’t let up within ten minutes, the oxygen deficiency may become irreversible and some of the deprived cardiac muscles will die. This is called myocardial infarction. You may be in the 20% of sufferers who will die before reaching help or the 50 to 60% who will die within an hour. 1.5 million Americans suffer a myocardial infarction each year. Each day 1,500 Americans will die of cardiac ischemia. Coronary arteriosclerosis generally arises from a combination of genetic, metabolic and environmental factors. You can’t change the fact if you are genetically predisposed to this disease but you can make a great impact through your lifestyle choices – namely what you eat. Twice as many people die from atherosclerotic disease as from all cancers combined! More than two million Americans have some degree of heart failure that restricts their activities and undermines their vitality. When it becomes severe, it carries a mortality rate of 50% in two years. 35,000 will die of it annually. 515,000 will succumb to an actual heart attack. Ventricular fibrillation and similar disturbances of the heart’s rhythm kill almost half of those who suffer heart failure. Ventricular fibrillation is the terminal condition whereby the heart becomes a mass of uncoordinated, irregular squirming. You will have the feeling that your heart is full of hyperactive worms. If your heart does not quit due to ventricular fibrillation and arrest, you may die from not being able to breathe well enough to oxygenate your blood, or toxic substances can no longer be cleansed by your kidneys or liver, or bacteria running rampant through your systems, or you cannot sustain your blood pressure high enough to maintain life or the function of your brain. This last condition is called cardiogenic shock and, along with pulmonary edema, are by far the most common cardiac enemies. 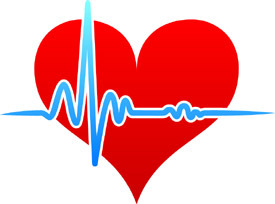 Your heart beats 2.5 billion times and pumps 100,000 million gallons of blood in an average lifetime. Each day this eleven-ounce pump beats 100,000 times, pumping 2,500 to 5,000 gallons of blood through 60,000 miles of blood vessels. Taking care of your heart and arteries is of the utmost importance. The key risk factor is diet and diet related problems such as high blood pressure, diabetes and obesity. Smoking is also a major cause. Smoking will speed up life-shortening effects of fatty build up in your arteries, damaging your blood vessels and accelerating atherosclerosis. Heart disease comes in many forms; some are more common to men, others to women. However, heart attacks caused by coronary artery disease are the most common and deadly. In simplest terms, the cardiovascular system primarily delivers oxygen and nutrients to cells throughout the body. Your heart pumps blood to the lungs where it receives oxygen then comes back to your heart to be pumped to all parts of the body to provide them with oxygen and other nutrients. This process removes cellular waste as well. Unlike other muscles, the cardiac muscle is stimulated with a steady stream of electrical impulses instead of nerve signals sporadically produced by conscious effort. Unlike all your other muscles, it does it on its own, automatically, all the time. 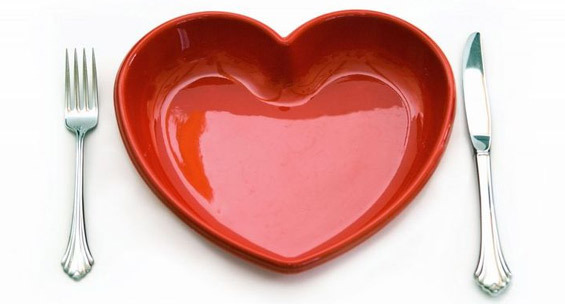 Nutrition for your heart is basically low fat, good fats and foods that are high in antioxidants and fiber. What is bad for your heart is foods high in saturated fats, and trans fatty acids – in other words, refined, and processed foods like fast foods. Lately, two supplements have received a lot of press. Folic acid, a B vitamin believed to have heart protective effects, and Coenzyme Q10 (Ubiquinone, aka CoQ10 or Vitamin Q), which is a fat-soluble, vitamin like substance that resides in every cell of your body. Coenzyme Q10 is involved in key biochemical reactions that produce energy, plus it acts like an antioxidant. It is being praised as the most important nutrient for congestive heart failure. It also helps regain some of the deformity of the mitral valve. Supplements are being touted as the way to attain the most significant amount but in the whole food world it is assimilated through organ meats, fish, spinach and nuts. Folic acid helps eliminate the unwanted amino acid, homocysteine, from the blood. It protects your heart muscle and may lower the tendency to form harmful blood clots. A diet high in fruits and vegetables and low in fats will do the same thing. Much of heart disease can be helped by including foods that are high in fiber, low in saturated fat replaced with mono and polyunsaturated fats, and fruits and vegetables rich in antioxidants and vitamins C and E. Soy is an important heart disease prevention food because of its antioxidants and its ability to lower cholesterol. It also has all of the essential amino acids your body needs. The American Heart Association’s guidelines set out four basic goals: eat a varied and healthy diet, avoid weight gain, get your blood pressure to a normal level, and keep your cholesterol down. Now for the number two killer disease in the U.S.